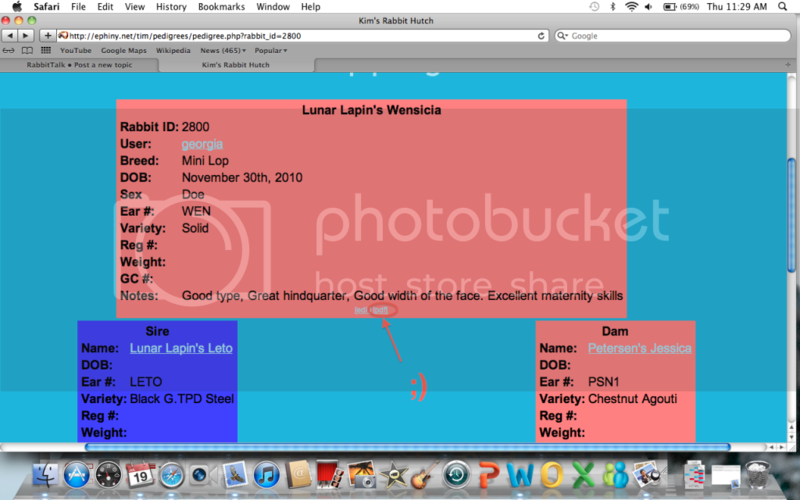 So I found a really great pedigree creator that is FREE. 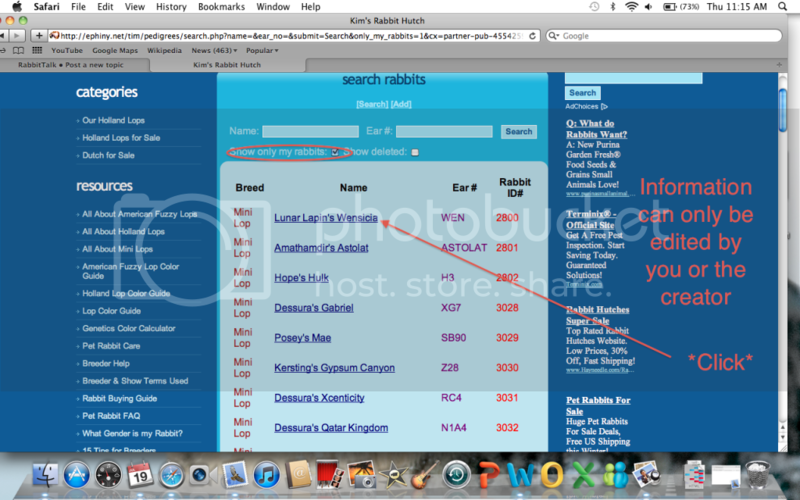 The creator is Kim's Rabbitry Hutch Rabbitry and all you have to do is request a user name and password. 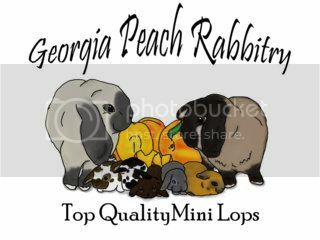 It is time consuming to enter your rabbits, but once your stock is entered, you are good to go for future breedings. The information will already be there. It doesn't just help you, but it helps whomever else uses the program. As more people enter information, the larger the database grows. 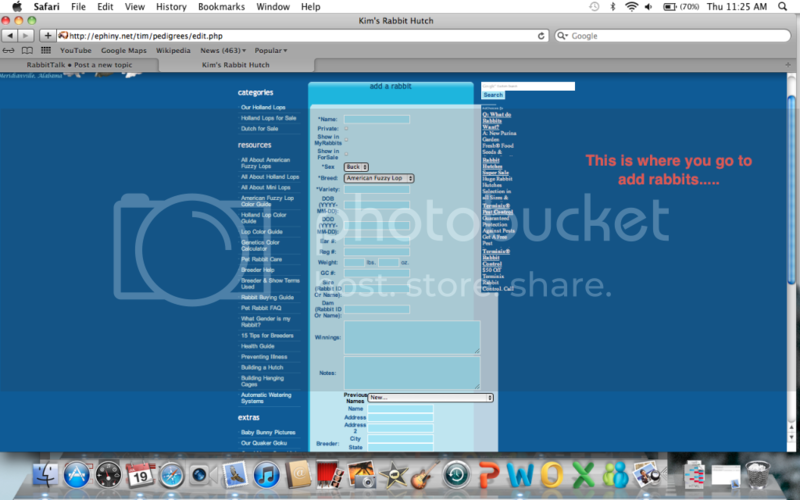 If someone else shares the same ancestor in the future, the buck's or doe's information will be there. 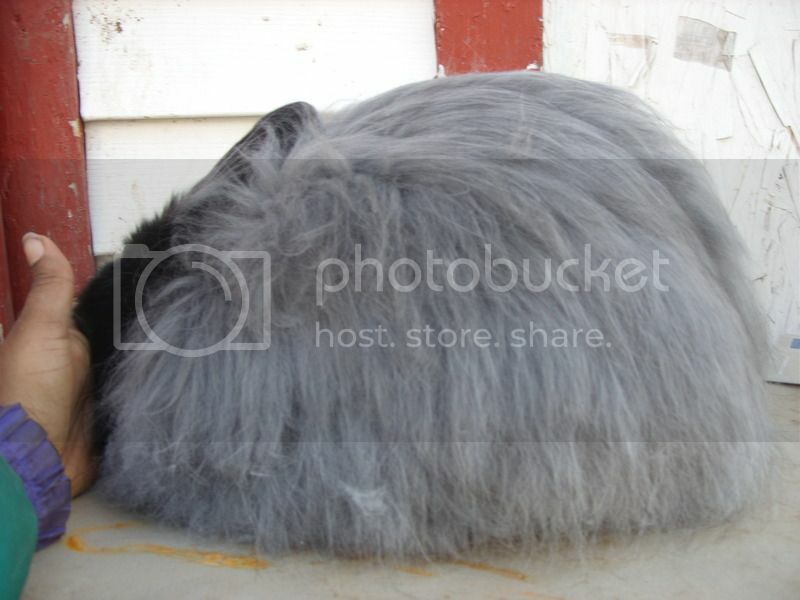 You can also add a picture of the rabbit so that can be benifical to have a nice,clean,posed picture of the rabbit. That is not a puppy! I've been signed up for it, but I've never received anything and the creator is very nice. A major rex breeder over here recommended it when he noticed I sent him a pedigree with my rabbit that I had hand written on the ARBA Pedigree booklet. It took a while to fill all the rabbits in but it is worth it My tip is that you start from the bottom up. Do G.G. Parents first the work your way up. 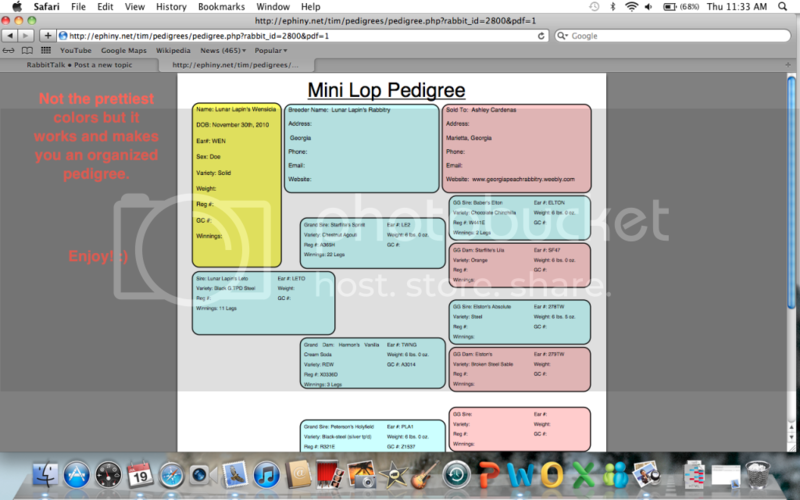 I love this website but have never tried the pedigree generator, because I have a template in MS Excel. Looks pretty nice, I don't have a color printer though, I always print on the copy machine at school. Wonder what it looks like in gray scale. A Mac user! Well done most decent programs are for pcs! I love the genetics calculator on that site. I use it quite often. Do they have to but a certain breed or purebred?? soooo... what you email asking for an account? Peach wrote: I've been signed up for it, but I've never received anything and the creator is very nice. A major rex breeder over here recommended it when he noticed I sent him a pedigree with my rabbit that I had hand written on the ARBA Pedigree booklet. It took a while to fill all the rabbits in but it is worth it My tip is that you start from the bottom up. Do G.G. Parents first the work your way up. I've used the color calculator on that site for the past year or so without any spam or other issues. Haven't been to it in a while as breeding has been shut down since my January litters were delivered because I've been away from home for long stretches , didn't know they added the pedigree feature. I'll have to check into it. Ramjet wrote: ...didn't know they added the pedigree feature. I'll have to check into it. Works pretty good, I've been using it for almost a year with only one hiccup. You can add a picture of the rabbit to the pedigree if you want. Every time I upload the picture it would add a 216? after the .jpg so you have to delete that off or it errors out when you try to look at the pdf version. I love that site! 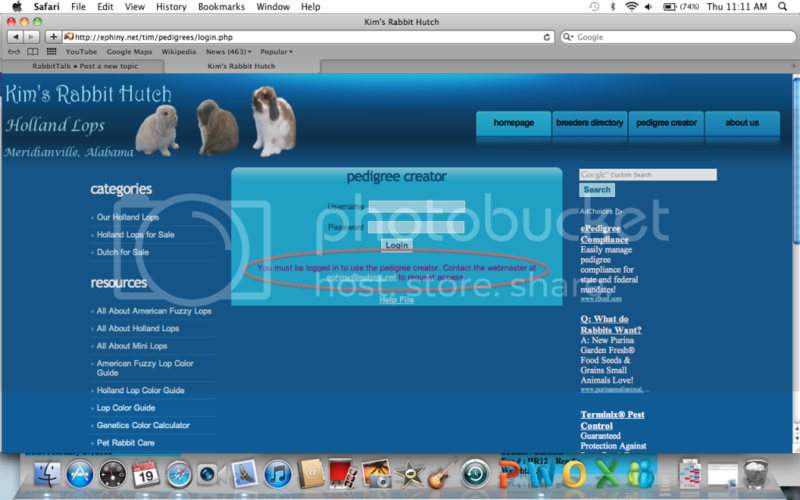 I haven't used the pedigree creator yet ~ but I plan to try it out. 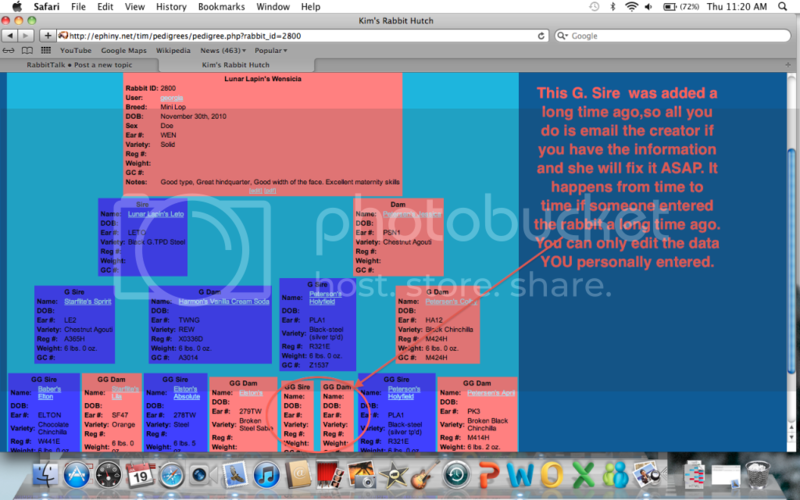 I love the genetics color calculator. I got a username and password and started using this. Really handy. Okay, overlook my complete ignorance... Do you only add the rabbits that you are keeping, planning to breed, or do you input all rabbits that you tattoo that leave your rabbitry?